21’ - Castillooooo whistles a shot from just outside the box just high. Naganna work from there, FabC. 23’ - Impressed by the defensive shape so far. Everything in front. Once FCD sneaks behind, your life is no longer your own. 26’ - Consider in one season Seattle went from MLS' most patient possession team to one of its best on the counter on either side of summer. 29’ - Gears of this game are grinding down, slowly. One goal and we’ll all go and ride the big ferris wheel, OK? 30’ - Friberg’s cross hits Hollingshead IN THE HEAD for a corner. That’s the best thing. 30’ - Ivanschitz’s corner is cleared off and FCD is riding its horses downfield to break. Life comes at you fast. Home teams now 5-0-1 in conference semifinals. Impressive. Really hate when no one nationally gives your team (@FCDallas ) credit. 33’ - Long spell of FCD possession in Seattle’s half ends with a NAILS pickpocket from Valdez, who brought his tacklin’ shoes today. 34’ - DEMPSEY’S HUNGRY LET HIM EAT. Dempsey gets on a ball just inside the box but his shot is cleared off. Heating up. 34’ - Is Chad Marshall a real ice cube. Just guided a ball to Frei with Castillo on his back like Han bringing that ship into the DeathStar. 35’ - OH MAN. Ivanschitz guides Mears into the box with a touch of FINEST SATIN but Mears’ cross can’t find a dance partner. Zeroes. 38’ - Club Legend Zach Scott™ has been a literal slab of granite in the middle so far. Amazed, at 35, how fresh he looks in NOVEMBER. 42’ - I speak for all the nerves in the state of Washington and locations distant that a goal would help global blood pressure levels. 43’ - FREI SAVE. Barrios snaps off a shot from just outside the box but Frei smothers it like chili on a hot dog. Too suave. Man of the match @CedrickM22 ???? 45’ - DID WAIT THAT ALMOST. Valdez’s long range shot is deflected and it almost. went. in. Gonzalez frantically clears. Man. MAN. Go @FCDallas and Go @dallascowboys ! 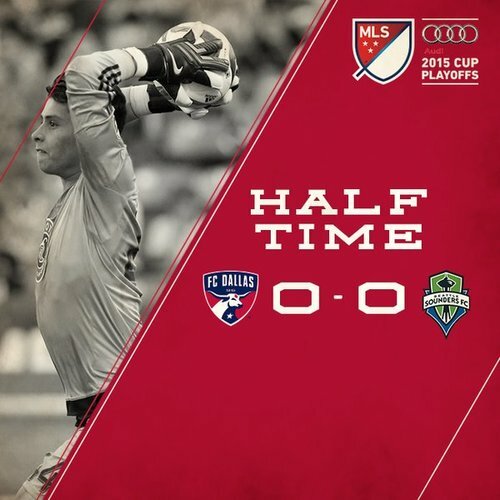 HALFTIME: @SoundersFC and FC Dallas head into half at 0-0. Wide open headed into the crucial final 45 minutes. Looking forward to the conference final. 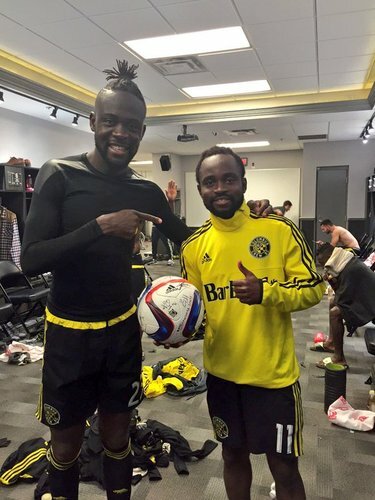 2 best teams in the East all yr meet for the chance to go to MLS Cup. Very fitting. Should be fun.